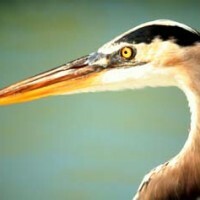 Got heron issues? It’s OK we can talk about it. You’re not alone. 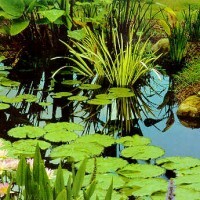 Many pond owners at some point or another will deal with some sort of predator, heron or otherwise, that haunts their pond. Being prepared with some know-how when it comes to deal with them is something all pond owners should strive for. LOOK! Up in the sky! It’s a bird, it’s a pla… no, actually it is a bird! About the size of a plane! 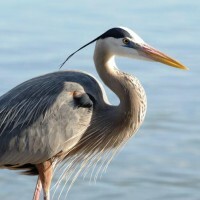 The Great Blue Heron (Ardea herodias) is North America’s largest heron coming in at about 4 ½ feet tall, 8 lbs., and with a wing span close to 7’ across! 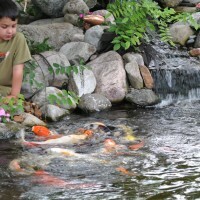 How to quarantine your pond fish is a common question koi keepers ask. The cycle of 40 is a theme that occurs in the Bible, Torah, and Quran and crosses numerous cultures and ideologies. Many who keep koi follow a similar path. Most first become introduced to koi by chance, casually; perhaps at a backyard party of an acquaintance or at a public garden. Then, knowing nothing about koi except that they stirred you somehow; a relationship begins. 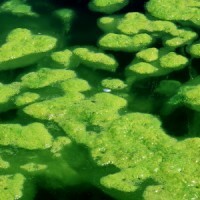 Barley Straw the newest old time remedy for algae control in modern ponds and water gardens! 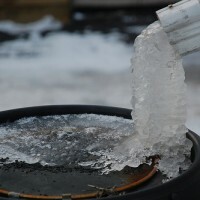 When winter sets in for the colder zones, we all have to reel in and winterize most of our backyard living accessories like rain barrels. It becomes time to store this, or tarp over that, put away and shut things down. Triploid grass carp, Diploid grass carp, white amur….not very alluring names for a fish that one may want to stock their natural pond with. 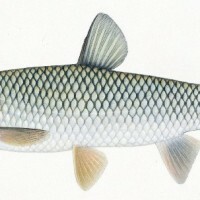 Grass carp (Ctenopharyngodon idellus) are not really the greatest looking fish to keep in your pond and on top of that they are certainly not easy to acquire, and would probably require a permit to keep in your pond. Who wants to do paper work just to get a fish? The water gardening season always seems to pass by a little too quickly. It seems that just as the water garden is looking at its fullest and best the autumn and winter are lurking just around the next calendar page. 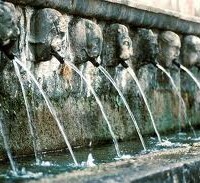 For water gardeners in the colder regions, the hot summer months are high time to get the most enjoyment out of our water gardens. 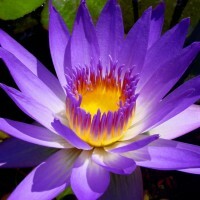 For water gardeners of the colder regions to enjoy the classic water lily with its floating leaves and colorful fragrant blooms; they have to keep hardy lilies that will make it through the cold winter months and come back the following season.